The historic low skyline of Old Strathcona around Whyte Avenue is under threat again with a developer proposing to build three towers between 80th Avenue and 81st avenues. 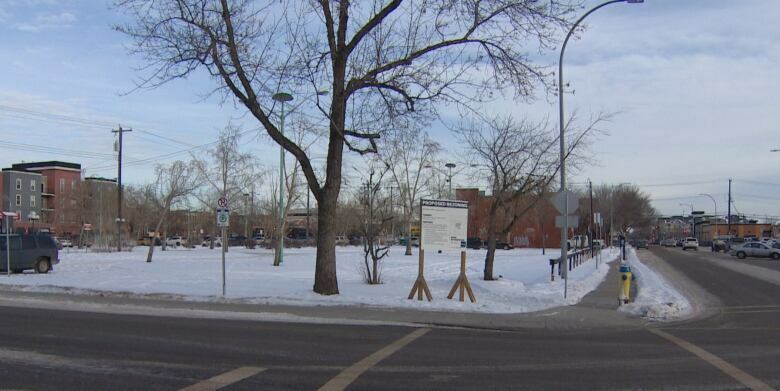 The historic low skyline of Old Strathcona around Whyte Avenue is under threat again with a developer proposing to build three towers between 80th Avenue and 81st Avenue. 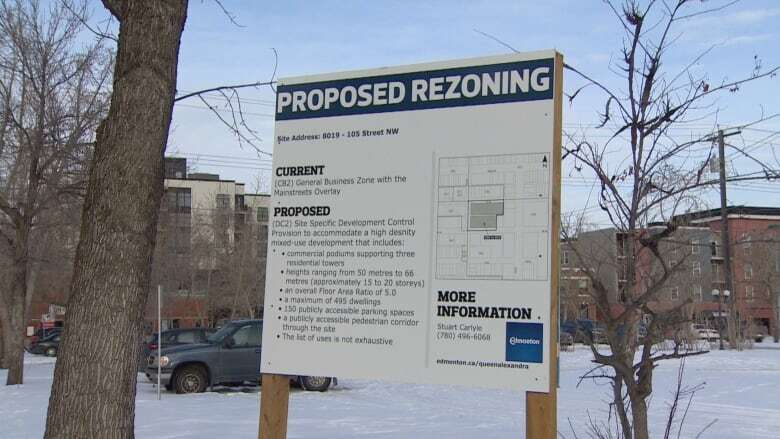 Cidex Group of Companies is asking the city to rezone the land on an existing parking lot — across from the Scona Garage between 105th Street and Calgary Trail — for a new development that would include three towers, 15 18 and 20 storeys high, with podiums. It would create more than 400 housing units and maintain 150 of the existing 300 publicly-accessible parking stalls. Kim Clegg, co-chair of planning and development committee with the Queen Alexandra Community League, has another battle on his hands. "We kind of felt it was a bit inevitable," he told CBC News Wednesday. "But we are trying to sort of tailor these buildings so they benefit our neighbourhood and not harm our neighbourhood." Clegg and members of the Old Strathcona community league adamantly opposed two towers that city council ended up approving in the past few years: Southpark on Whyte Avenue at 106th Street and the Mezzo just behind the old Post Office building off 105th St.
Clegg sees those approvals as a precedent set by city council. "It sort of opened the floodgates, as we feared," Clegg said. "It does spread a little bit like a virus." The difference this time, Clegg and community members trying to preserve Old Strathcona's three-to-four storey brick and wood character, are ready to negotiate rather than fight full force. "If we oppose it and they win, then it's going to be exactly what they want." Clegg and community league members have adopted a new approach. "As opposed to just fighting and losing — that seems to be the way it's going," he said. "What we try and do is get in and work with the developer to try and make the proposed development less toxic to our area." Cidex seems willing to listen. The company held an open house last fall to get the community's feedback. Sarah Itani, business development manager with the Cidex group of companies, said the company is willing to make concessions to "thoughtfully contribute additional ways that the project can be made better." One idea is for the company to contribute to building a local gymnasium. Clegg said he wants to make sure the block remains a walkable area, with a promenade through the towers. 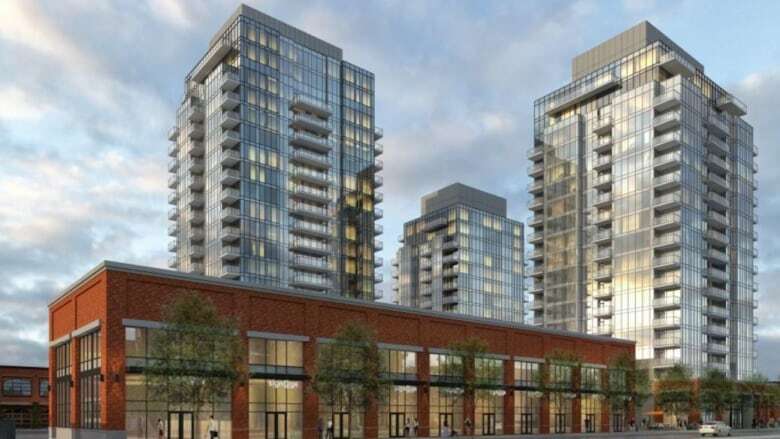 Itani believes the mixed-use towers fit in better with the community than other developments and the company is hopeful the community will accept the designs. "We'll be able to maintain the public parking that already exists within the project while also giving it kind of a new life," she said. "So is the right time at the right parcel and a community we've been interested in for quite some time." The city's new planWhyte allows for the development. Coun. Ben Henderson seems accepting of the proposal, at least compared to the previous two controversial developments. "It's a large parking lot, set well back in away from the historic area," he pointed out. "It probably is a more appropriate place to look at this kind of density. City council initiated planWhyte, a commercial area land use plan, in 2016 following the controversy of the two large-scale developments, the Mezzo and Southpark, "in recognition of ongoing development pressure, sensitivity of the area's existing heritage and character." Clegg thinks there will be more towers to come. The commercial block south of the parking lot, currently a strip mall, is also allowed for redevelopment under planWhyte. The city is still reviewing the Cidex application and has not said whether it supports the proposal, or the rezoning. The lot would have to be rezoned from a general business zone to a high density zone to allow for the mixed-use towers. A public hearing has yet to be scheduled for the development.